Students job shadow local professionals. HART – Oceana County students recently got a first-hand look at various careers by job shadowing local professionals. “This month, Mercy Health Lakeshore Hospital in Shelby, Oceana Courthouse, GHSP, Gray & Company, and Country Dairy participated in the Fifth Annual Students in the Workplace half day job shadowing program,” states the Oceana College Access Network’s April newsletter. “Fifty two juniors and seniors toured businesses and spoke with employees from different career pathways and educational backgrounds. 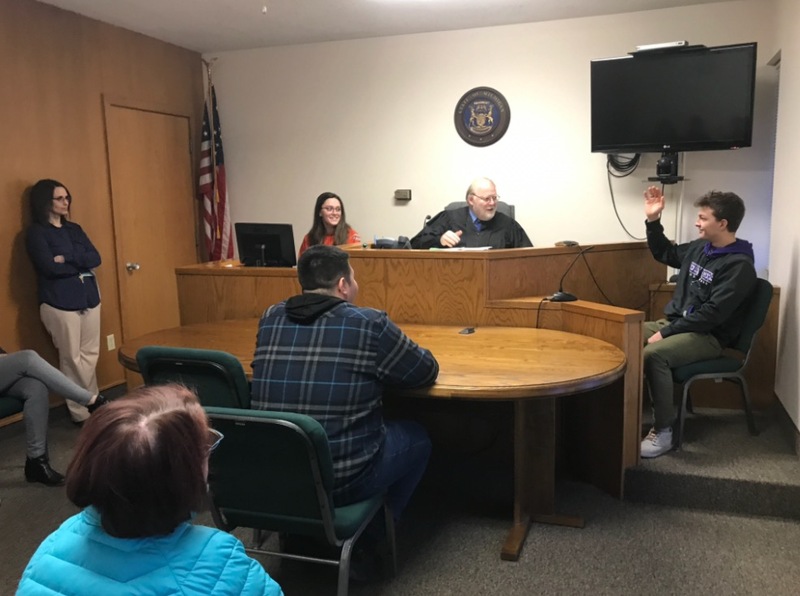 “This was the first year that Oceana Courthouse signed on, filling a much needed gap for students to learn about common criminal justice and social work careers among others such as city government and records. Gray & Company and GHSP tried something new this year by doing a combined visit, with 15 students able to see both locations.